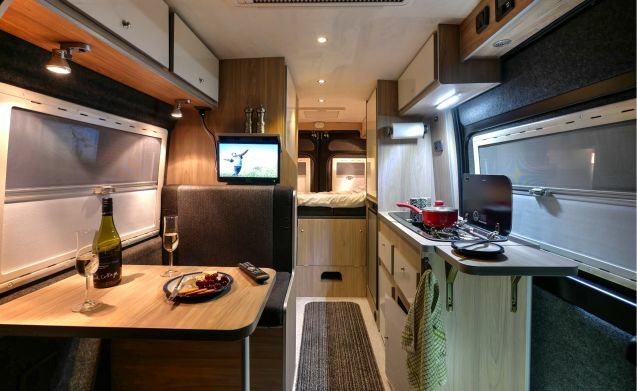 The Juice Globecar is a top quality British built two berth camper van that's built by luxury converter Juice Van Design. 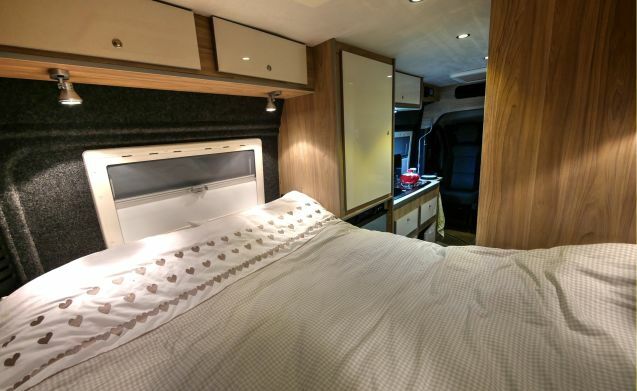 It has the same high quality level of fit and finish of German van conversions but with an English flair that adds a style in plenty. 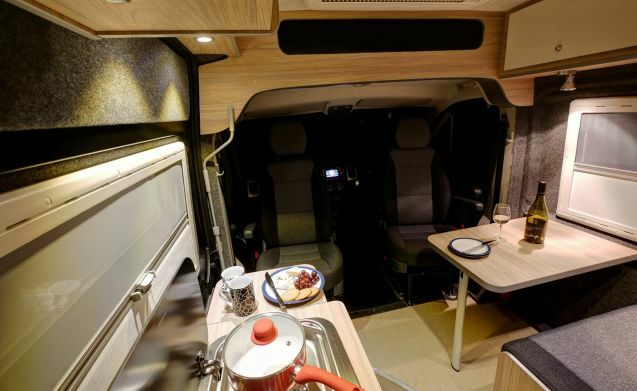 Its 5.99 m length is easily manageable around town or in car parks, plus its large fixed transverse bed has a cavernous storage area for outdoor kit underneath. 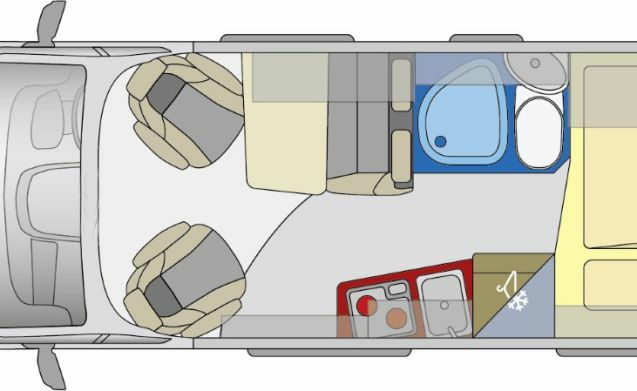 Also, being a German design, the bed is over 6 ft 4 in in length - longer than any transverse bed camper van. 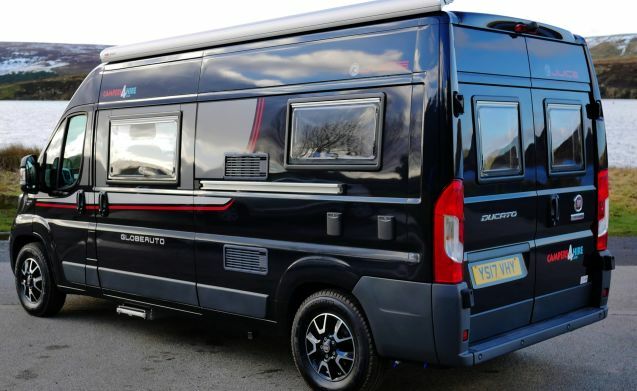 A totally luxury camper with all the best of German Euro Spec camper design. 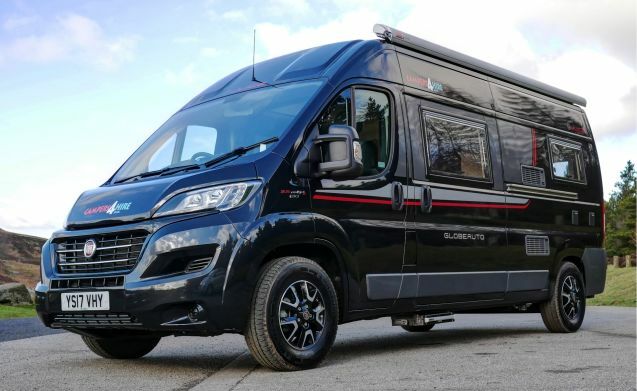 With a new price of around £55,000 the Juice Globecar really is a top quality camper van with all the facilities you'd expect to make your holiday or break comfortable and luxurious. 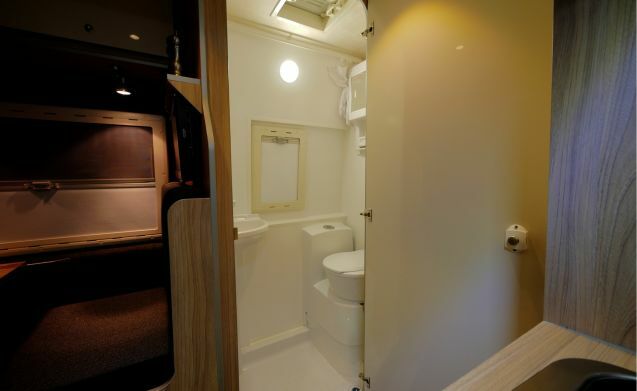 This one features fixed double bed, four seat dining area, kitchen area with sink, two ring hob, fridge freezer, TV with DVD, wind-out Fiamma awning, central heating and a wash room incorporating wash basin, toilet and shower. 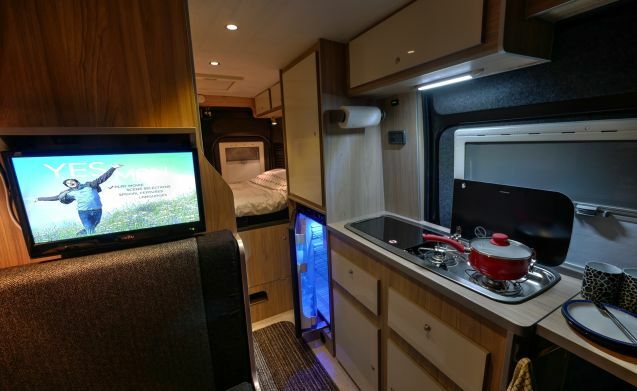 There's also a little more attention to detail than you normally get in a German van including leather steering wheel and auto gear stick, reversing cameras, luxury 100 channel TV and DVD, high specification audio and of course a fully automatic gearbox. Full camper inventory included (plates, pans, mugs, cutlery, glasses, gas, washing kit, etc).